It's been at least three months since Airline Jay released his highly anticipated EP Welcome To The Loft back towards the end of June. The five-track project was, in my opinion, was some of the best material he had ever released. Since then we've not heard too much from the New York native, until now. Jay has just released the visuals to one of the darkest tracks taken from the EP, "Decisions". The Michael Mejia directed visuals carry on the dark and gloomy theme that Jay portrays in this track lyrically, and the darkness drenched gritty pictures showcase the director's terrific vision. 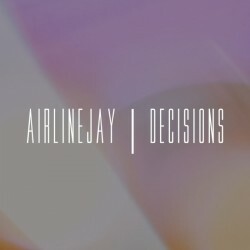 "Decisions" features a hard trap like beat that was produced by Woodro Skillson, which lets Jay spit with the intensity and power that has caught the attention of a lot of people recently. You can stream Welcome To The Loft over on Jay's Soundcloud, and, if you like what you hear, you can download the project over at Audiomack.